There’s no doubt that Evernote is an incredible tool with a lot of uses Get Creative With Evernote: 10 Unique Uses You Haven't Thought Of Get Creative With Evernote: 10 Unique Uses You Haven't Thought Of Evernote is one of the ultimate tools in productivity, and with a wide variety of multiplatform apps, there's no limit to the way that you can use the service. We're big fans of Evernote here... Read More . In fact, if you aren’t using it, you should be using Evernote to remember everything Why You Should Be Using Evernote As Your Go-To Place For Remembering Everything Why You Should Be Using Evernote As Your Go-To Place For Remembering Everything Remember Everything. That’s the Evernote motto and that’s what it allows you to do best. If you aren't familiar yet with Evernote, you’re in for a real treat! If you have heard of it, but... Read More . . There is a lot of emphasis put on organizing notes in Evernote. However, there often isn’t a lot mentioned about the actual organization within notes. Evernote provides the basic tools in its simple text editing interface, but wouldn’t it be nice to create more of a structured environment within Evernote? That is possible, but it’s not the easiest of tasks and is rather cumbersome. There’s an easier way – KustomNote. 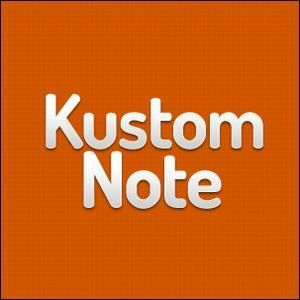 KustomNote is a web app which connects to your Evernote account. It allows you to use and create templates for virtually anything you might need one for. These templates provide the structure that you need for organizing the content within your Evernote notes. Knowing about KustomNote isn’t necessarily crucial at all, but I’d like to share its history. KustomNote started in 2012 as an application competing for Evernote’s DevCup, which it won the Silver Cup in and an awesome cash prize. Since then KustomNote has continued to improve. KustomNote was founded by Hussein Ahmed. You can connect with him on Facebook, LinkedIn and Twitter. KustomNote has an abundant amount of features, yet it remains very simple at the same time. The majority of these features lie in the templates themselves. Each template that you create in KustomNote has the ability to be added to a specific notebook. This allows future uses of the same template to automatically send the note to the specified Evernote notebook. In addition, you can also check a box to choose the notebook when each note is created with that template. These are tags which you can set for templates that will always need that tag. Once set, KustomNote will apply them automatically for future forms of the same template. This feature allows you to choose what text (if any) adheres to the beginning and/or end of the note title. This isn’t a requirement by any means, but it is a nice feature to be able to add. This option is as simple as checking a box. Under the Note Fields section, you have an option to add any fields to the title. This option is only available for the movie, music and Google Contact and Calendar categories at this time. However, the feature is pretty neat. SmartFields show up as an autocomplete field. It may not seem like much after selecting the movie, but when you close the note you’re editing and open it back up to view it, you’ll see a beautifully designed snippet of the movie with an image, ratings, stars and links to IMDB, Rotten Tomatoes and Fandango Think Fandango Is Just For Checking Movie Showtimes? Think Again [iPhone] Think Fandango Is Just For Checking Movie Showtimes? Think Again [iPhone] Are you a movie buff? If so, you probably like to keep up with all the latest happenings in the movie world at all times. You want all of that critical information about what is... Read More . The music SmartField is very similar. I was actually impressed by its database. I searched for an artist who I knew wasn’t really popular and it was found, leading me to the conclusion that as long as the song is on iTunes, you’ll be able to add it. To enable this for Google Contacts and Calendar, you must first connect your Google account to KustomNote – then you’re all set. Under the Note Fields section on the template editing page, there is a column titled Required with a checkbox on every row. When that checkbox is checked for certain rows, that information will then be required to filled out for that form to be complete. If you’re wanting multiple choice for a certain field, that is possible in KustomNote as well. This feature is under the Note Fields section. To use this, fill out the Title field (as always), then under Type choose Multiple choice options. You can then type in your choices in the next field over under Possible Values. This feature isn’t a “necessity,” but it does provide a nice level of customization. You’re able to choose from a pretty surprising amount of icons while editing the template. Once you decide on one that fits your template, check out the final product. I’ll be honest, I was pleasantly surprised when I saw that I can be reminded by email. I know it was stated as a feature before signing up, but I somehow looked over it – but I won’t anymore. Being able to set reminders about different things is an excellent feature for Evernote… I think we all can understand why without further explanation. Perhaps you don’t know where to start with making your own, or you just want to save time – both are great reasons to check out the public templates that are on KustomNote. Because there are so many uses for Evernote 5 Uses for the Evernote Desktop Clients [Windows and Mac] 5 Uses for the Evernote Desktop Clients [Windows and Mac] A couple of years ago, we had a post on the myriad uses for Evernote, which could well be an all-in-one second brain. With the advent of improvements on the desktop clients, there have been... Read More , there are a ton of awesome templates too. Perhaps you could even use this area as some inspiration for new ways to use Evernote, such as for business or crafts or education, or even fitness, as well as many others Do You Need More Evernote Use Ideas? Here Are 3 Ways I Use It Do You Need More Evernote Use Ideas? 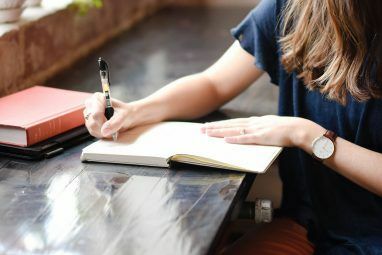 Here Are 3 Ways I Use It Evernote is, without a doubt, a multi-faceted tool that can help you accomplish a lot, but when you have that kind of breadth in options and input channels, there’s a chance you could get overwhelmed.... Read More . Once you found a template that you want to use, click Clone and it will be added to your templates. You can then edit and modify it to fit your needs. Of course, you always have the option of creating your own template as well, so if you don’t find what you’re looking for in the public templates, don’t be afraid to start from scratch. As of now, KustomNote is strictly web-based, at least the template acquisition and modification part of it is. 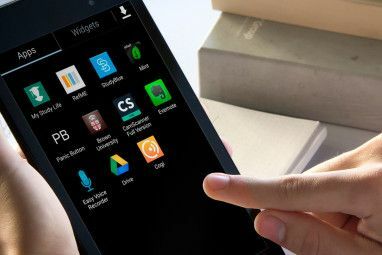 Once the template is used in a note, it then becomes available in Evernote on all platforms (mobile, web and desktop). Even the visual part of the template can be edited in Evernote (this is different from the modification process in KustomNote, however). KustomNote currently doesn’t have a mobile app, however, they’re website is optimized for mobile use, so you can still use it on the go. It might be slightly less convenient then an actual app, but it’s still a huge step above not having templates at all. Two of the current drawbacks have actually already been mentioned: Limited KustomNote use outside of the web app and no mobile app. Another one is that there is no offline access. So if you’re an Evernote Premium customer because you want or maybe even need offline access, KustomNote currently doesn’t offer that. Are these drawbacks going to always be drawbacks? The answer is hopefully not. Of course I can’t promise anything – I’m not the developer – but Evernote obviously saw something in this product since they have awarded it a total of $25,000. From what I’ve read, a mobile app and offline access is planned. What would really be nice is Evernote integrating these features directly into it’s apps on all platforms, but I haven’t heard any plans for that yet. If you have more ideas that you’d like to suggest to KustomNote, you can do so on the Feedback page, also accessible by clicking the UserVoice “feedback & support” button on the right side of the screen. Now that we’ve walked through all the features of KustomNote, I encourage you to try it. Is it 100% perfect? No, but what app is? The problem that KustomNote solves by organizing the interior portion of your notes is pretty impressive. Do you use KustomNote? What feedback to you have about the tool? If not, go on and check it out, then report back to us how it’s improving your Evernote experience. If you prefer using Chrome web apps, KustomNote is also available in the Chrome Web Store. 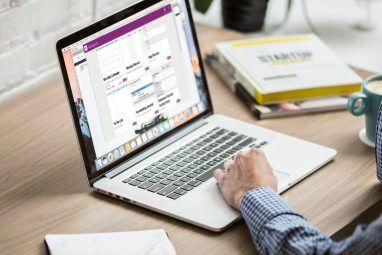 The Best Free Online Calendars: 7 Options ComparedWho Is Cyberstalking You? Hi Aaron, can you please clarify whether or not you actually use the template in Evernote or in KustomNote? I would LOVE if I could create a custom form in KustomNote and have it accessible in EverNote for my team to use. I recognize that you can create a new note with the form I create within KustomNote & it will show up in EverNote, but can we create a new note with the template without having to go through KustomNote? It looks nice and seems powerful but there are two aspects missing the mark for me. The first is that you have to select an item to get it into the EN Note. I would like to create a template todo list. I may not do all the tasks for every project. I would like something that was still interactive. this just seems to make evernote more complicated. Evernote is missing one simple organization feature which makes OneNote my choice: the ability to arbitrarily sort notes. In OneNote, I can drag and drop a page into any position in the heirarchy I want. Perfect for arranging research and outlining. It does add extra steps to creating notes in Evernote, yes, but I feel the ability to have custom templates for forms really does make sense. If you don't need them however, then, yes, I feel using KustomNote would be unnecessary. Also, I'm pretty sure I can easily sort my notes in Evernote too. Care to elaborate a bit more on what you're meaning? Each section in OneNote has as many pages as you want; I use each page as a seperate note. Pages are arranged by their tabs along the side, similar to Evernote, except you can drag the tabs into any order you please, and insert new tabs between them. In Evernote, you can have it sort notes by title, date, etc, but you cannot drag a note out of the sorting sequence (put note 5 between notes 1 and 2, for instance). I need this because I use OneNote to outline fiction, for which I need to re-order scenes at will, and insert new material between them. You can't use Evernote for this. Evernote has many strength, some of which I wish OneNote had, but this is the crucial feature for me, so OneNote wins. I find OneNote much better as a creative tool because it's organization is more free form. Plus, it's integration with Word turns the pair into a better writing machine than Scrivener (another way to explain what I mean is to compare its organizing and sorting functions to Scrivener, which isn't as good). Yep! That made sense, Michel. Thank you for sharing your opinion and viewpoint! Further limiting Evernote's sorting options, for me anyway, is that all the notebooks are going to sort the same way. I have one notebook I need sorted a bit differently from all the rest but for some reason I have to reset that sorting every time I go to or from that notebook. I know it is only a matter of a click or two but it often trips me up and seems like having a persistent choice for each notebook wouldn't be too hard to implement. If it IS there I haven't been able to find it but usually when I have Evernote open on my computer I need to be using it not searching for possibly hidden or possibly non-existent features. I do still find Evernote the best of its kind and more indispensable every day. This is a treasury for Evernote users! I've never heard of it before. Thanks Aaron.